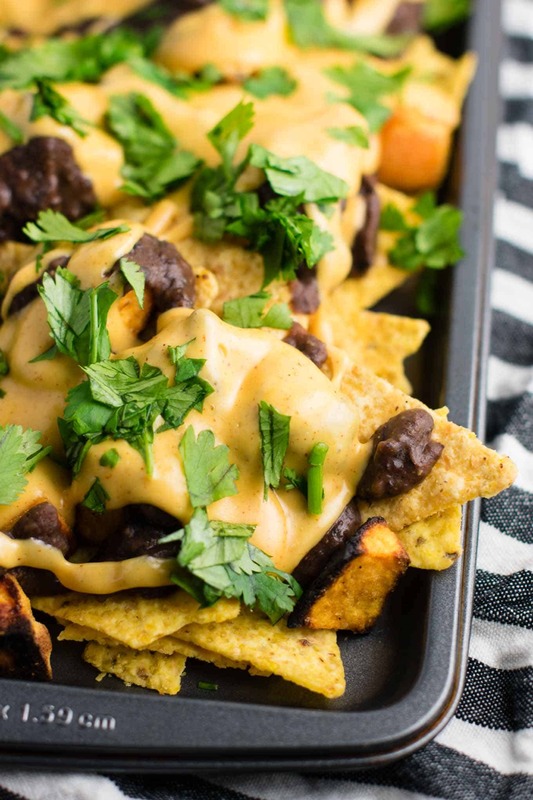 30 Minute Sweet Potato Refried Bean Nachos recipe with homemade nacho cheese sauce. A meal that looks impressive but requires just half an hour to make! 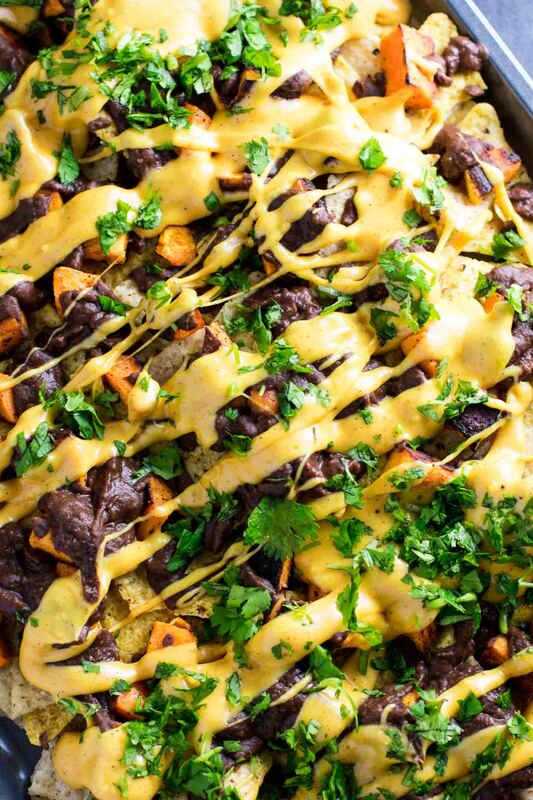 These sweet potato nachos have quickly become one of my all time favorite recipes. Ready from start to finish in 30 minutes and made with real, simple ingredients. I recently asked you guys on my facebook page what recipes you would like to see more of, and one of the top answers was quick and healthy dinners. 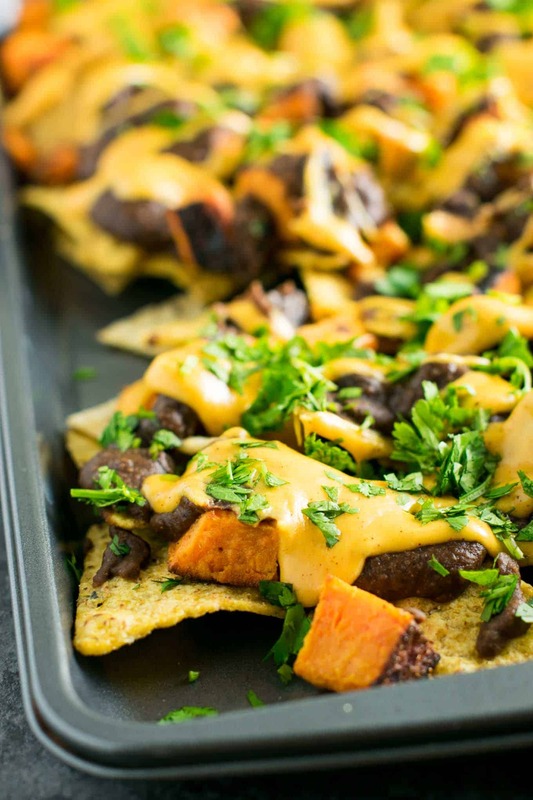 These 30 minute sweet potato refried bean nachos are just that! Sweet potatoes are one of my favorite vegetables, but they can take sooo long to cook. I’m not about to spend an hour prepping vegetables when I have a cranky baby who is getting near his bedtime! 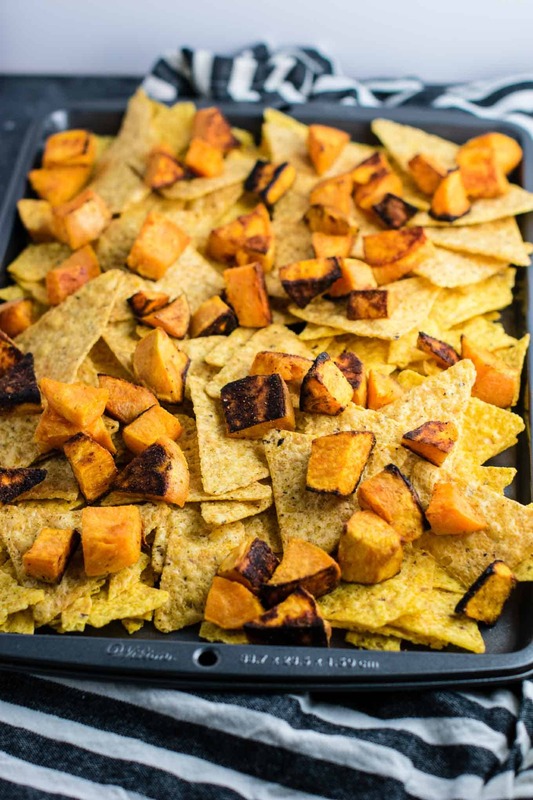 Once I discovered this trick to making sweet potatoes in just 20 minutes (!!!) I was hooked. No microwaving, and no prep work except peeling and chopping. Just dice it up, toss with some oil and spices and it goes straight in the oven! I love the crispy edges that the sweet potatoes get! I also used my 5 minute Refried Beans for this recipe because they are just so darn tasty and so easy to make. 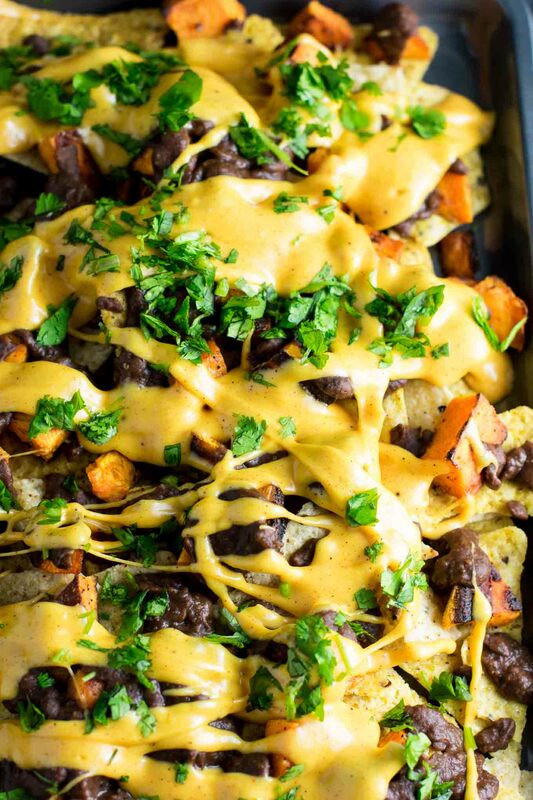 While the sweet potatoes are roasting, you will make the refried beans and the cheese sauce. 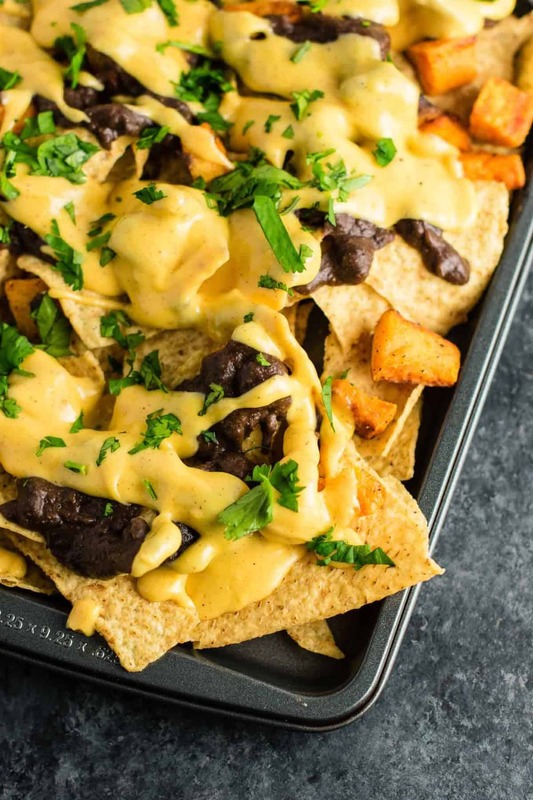 I’ve never made cheese sauce for nachos before this and I’m not sure why! 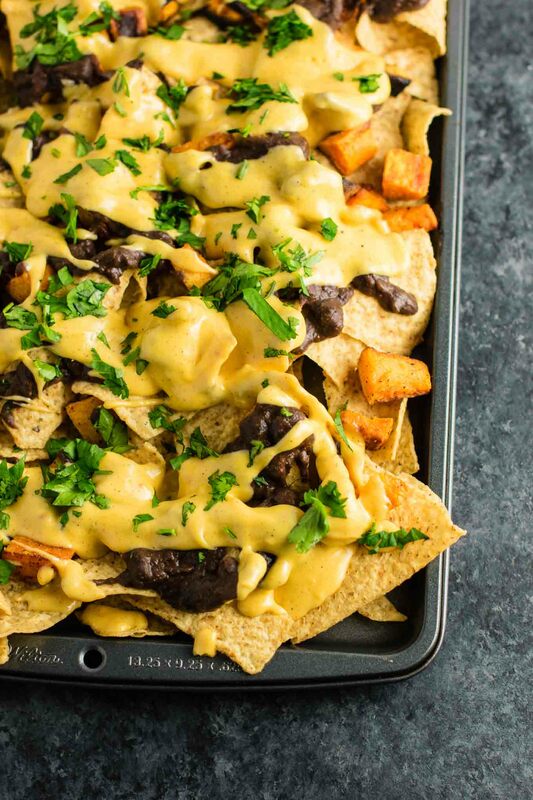 This nacho cheese sauce is simple and literally done in 5 minutes. Now that’s what I’m talking about! 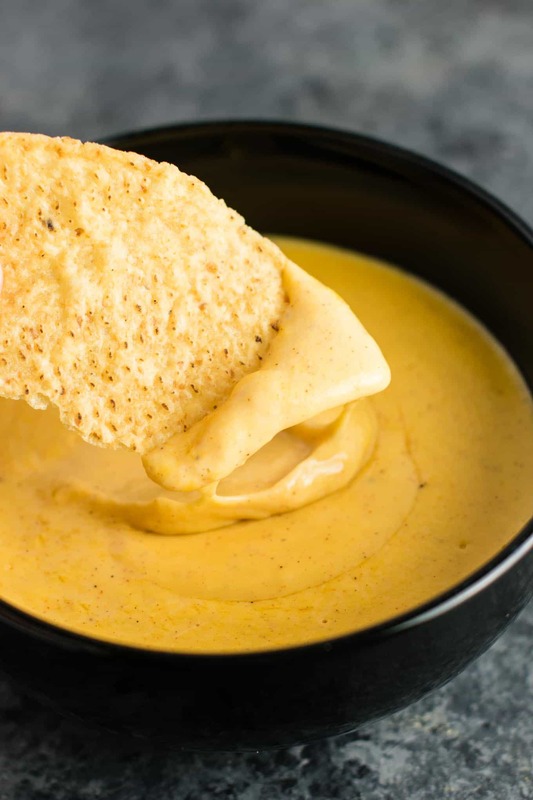 It tastes like the cheese sauce you would get at a concessions stand. 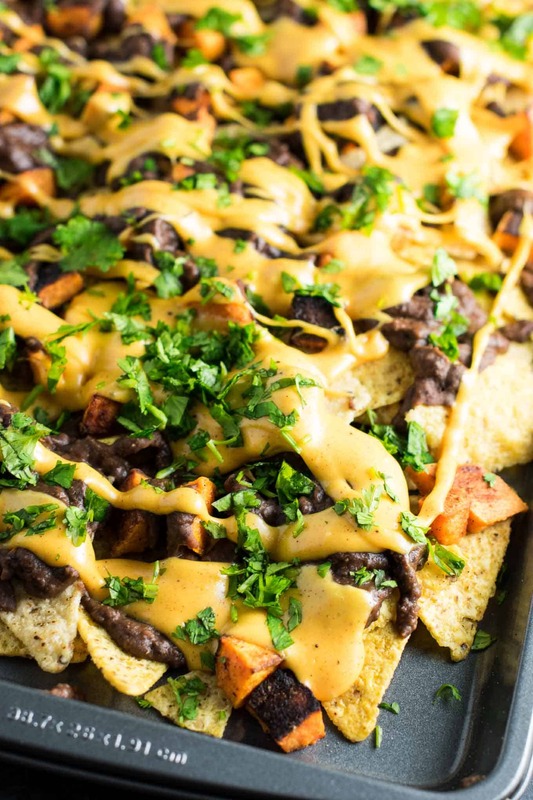 This would be a great recipe to make for game day! Robbie requested it for football season, it is SO SO good. Even Crosby loved the pieces of sweet potato that he ate covered in cheese! At one point he was licking queso from a bowl. Now that’s the right way to live! Once the sweet potatoes are done, all you need to do is assemble. Are you making this recipe? I wanna see! Tag me on instagram @buildyourbite and hashtag #buildyourbite! 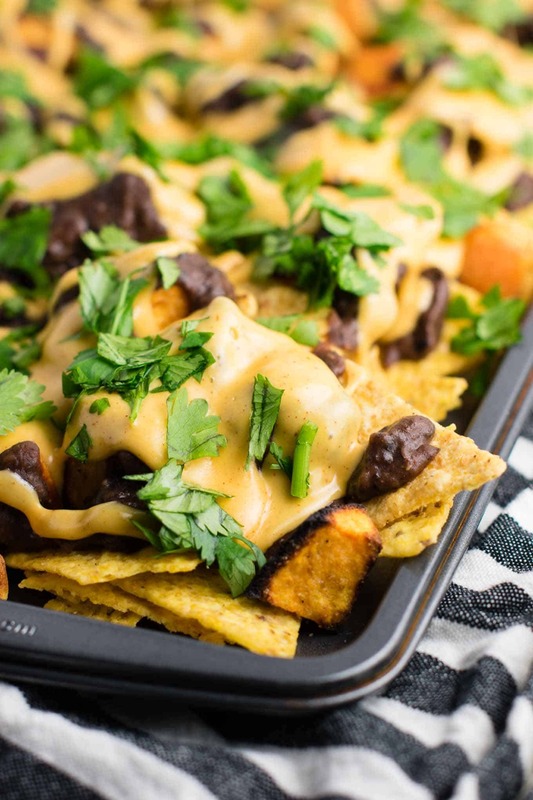 These 30 minute sweet potato refried bean nachos are made with homemade refried beans and nacho cheese sauce. Once sweet potatoes are done cooking it's time to assemble it all! I literally make this all the time! We LOVE it! Woahhhh, my kryptonite! 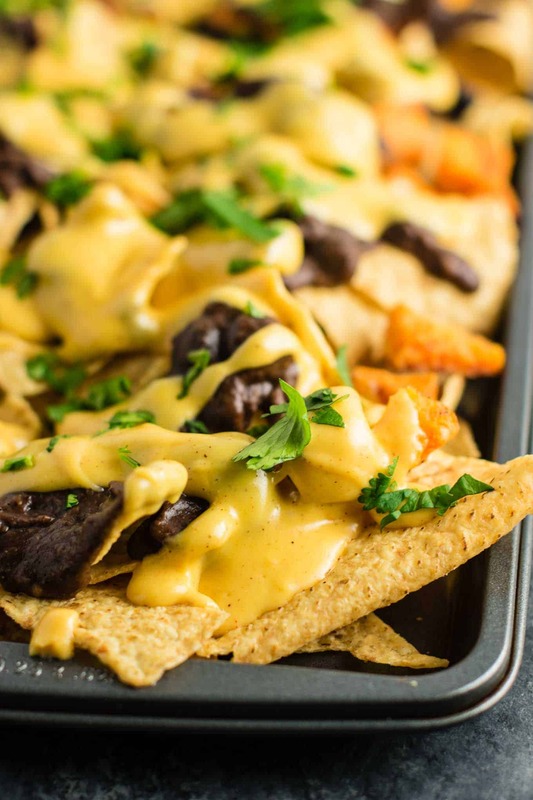 Nachos! 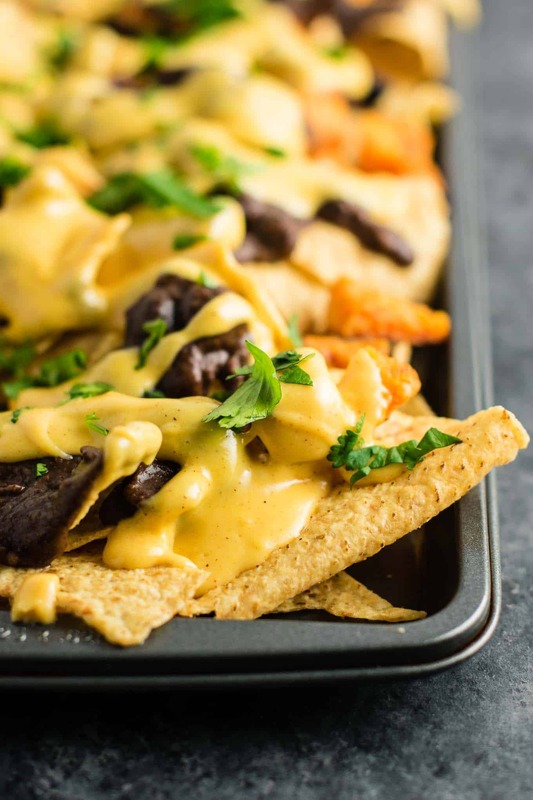 These look AMAZING and have to be added into my nacho collection right now!